This is the world of Internet in which every transaction happens online. To do a transaction online, PayPal provides its facility. PayPal is the best option to perform any kind of transaction online. We can say that PayPal is synonymous for online transaction. Many freelancers and people are using service of PayPal every day. You just need valid PayPal account to perform any transaction which happens between sender and receiver end. 1. Fee: The PayPal costs you more fees than other online payment methods. 2. Payment on Hold: This is possibly the major issue with PayPal. Sometimes PayPal holds the payment and it puts it under review without any reason. 3. Some countries do not support PayPal. So with the above-mentioned cons, there are needs of PayPal alternatives which can provide same or better services than PayPal. Fortunately, there are many PayPal alternatives are available in the market to fulfil our purpose. This is first PayPal alternative which is provided by Google. It was previously known as Google’s Checkout. The name was changed to Google Wallet but the functionalities remain the same. Google Wallet provides same features as PayPal such as credit card processing and ability which allows you to send invoices. With the help of Google Wallet, you can easily transfer your money to and from your bank. When we talk about PayPal alternatives, MoneyBookers comes immediately in our mind. It allows the user to send and receive money to other users. There are some countries in which it works with other banking services and in some countries, you need to have credit or debit card to use this service. Different country charged differently when we use this service for payment. Payoneer is one of the oldest services for online payment. Payoneer is the biggest PayPal alternative due to the fact that it causes fewer fees than PayPal. With the help of Payoneer, you can send and receive money from European countries. The best part about Payoneer is now they are also available in India, Pakistan and many more countries. This is the best when we deal in different currency. This service was created by the founder of Skype and still this service is not known by many people. This is the strong PayPal alternative because this costs lesser transaction fees and currency conversion. That means you don’t lose money while currency conversion. This service also supports many countries and currencies. Stripe is also one way to accept payments from your customers. We can consider stripe as a PayPal alternatives when it comes to the acceptance of the payments. Stripe allows various cards such as Visa, MasterCard and JCB. The best thing about Stripe is that it allows 100 currencies. For each successful transaction, Stripe will charge 2.9%+$0.30 as its commission. There are lots of positive reviews available for this service. This is the great PayPal alternative available. The downside of this service is that it causes high transaction fees. The biggest advantage you will get is the support which is provided by 2checkout is really great. You should use the high transaction to avoid more fees for each transaction. ProPay is offering similar features to other PayPal alternative which includes the ability to receive and send payments, recurring billing etc. The main advantage of ProPay is that it works at eBay also. ProPay’s mobile phone credit card reader is also there with ProPay which allows you to use your debit and credit card on your IOS and Android devices. Click2Sell is having similar features which are there in other PayPal alternatives. Click2Sell accepts Google Wallet, PayPal, Skrill, and other credit cards with or without merchants account. The amazing features of Click2Sell are that you can use it for affiliate tracking, reports and sales management. There are some tools available in it which help you to understand the strategies and sales tactics. PayZa is also great PayPal alternative. There are many cases where PayZa is even better than PayPal. PayZa is available in 190+ countries and 21+ currencies. This service is based on US and Canada but it also supports debit and credit card of reputed banks across the globe. The account creation in Payza is free but there are small fees on the transaction which is less than PayPal. PayZa helps you to run multiple businesses with a single account. If you are a seller from Australia or New Zealand then Paymate is the great way to receive and send payment from many countries. Paymate is strict on its security so your credit card details are not sent to the seller but it is handled securely by Payment. With the help of Payment, the seller from two different countries can use it on their website or on EBay Australia for small fees. Remilty is another good service which allows you to send and receive money from India and Philippines. They are running various good offers many times to attract new users. The astonishing offer of Remitly is you don’t need to pay anything on the transaction over $1000. There is one option which allows you to send money without any fees but it will take 3 days. If you set Wepay for your website then you can be sure that customer will not leave your site without the payment. You need some technical knowledge to set up Wepay but it is very simple and attractive for customers. This is API based technology. The API of Wepay mostly focus on crowdfunding sites, small businesses and business software. Wepay will charge 2.9%+$0.30 for credit card payments. Selz is one greater PayPal alternative for small business. This is a great choice for freelancers or bloggers who are earning good amount of money online. If you are WordPress blogger then there is one plugin called Selz which you can use it on your blog. It is mainly useful for selling digital products. Selz is available in 190 countries. This is similar to PayPal in terms of sending and receiving payments. The unique feature of this service is it is specialised in the bank transfer. Some of the services like send and receive are free in Dwolla whereas some services like white lables, higher limits and next day transfer costs you some fees. This will provide you a card which works perfectly on your Ipad, Iphone or Android phone. It will also allow users to create an online store. Visa, Master, discover are some of the cards which are accepted by Square. The Square will cost you 2.75% of the total money which is transacted. Square readers are only available in Canada and US. How Much Money Can You Earn With a Fee App? So there are many alternatives to PayPal which will allow you to send and receive money from various countries and various currencies. Many people are using these alternatives and all are secure. So you don’t need to be worry about your transactions. If you are not satisfied with PayPal then give a try to any of the above mentioned PayPal alternatives and see the results. If you like this post then do share it with your friends. I would like to hear your best PayPal alternatives. So feel free to comment. Message: I hope that you have enjoyed ' PayPal Alternatives: 15 Trusted Alternatives to PayPal' article on Tips2secure. However, if you want me to deliver more items, then please share my post. You can use Social Sharing Widget provided at the end of every post. After all, Sharing is Caring! 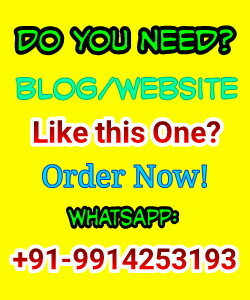 Hello Suresh, I run comics blog(comicsmypassion.blogspot.in) and I have uploaded all links on upload.cash and make more than $100 in a month. But after requesting my payment, It's more than 30 days passed but I did not get any single penny from upload.cash. Do you have any idea that its really genuine website or scam? If you have any payment proof from upload.cash then please show me..I have mailed number of times to upload.cash but they did not reply me till date.. Please reply me. In India, we cannot send money from one paypal account to another. RBI had put restrictions on this. These alternatives will help Indians to send money. Thanks for providing such a good list. Very informative post. All services are wonderful but I like the services which provide more coverage in more countries like Paypal, Payza and Moneybookers (Skrill).